Discover how to get the best results from endurance zone training in what we call the Longer Zone. This endurance-based zone is mandatory for all marathon runners so neglect it at your peril! Mark: OK so we’ve covered the easy zone. So I’m guessing the second zone is going to be a tad harder? But what would be a better way of describing this is longer. Dave: Because the focus here is very much on endurance. And in terms of hardness we are going from ‘gossip’ pace to ‘conversation’ pace. Mark: So what would be the difference? Dave: If you’re recovery running you can talk freely as you’re not catching your breath. More conscious you’re actually running. Mark: Would it be the sort of thing where you’re happy to answer the other person’s very short question? Dave: No, that goes further into the other zones. Mark: So you would be moderating your monologue somewhat. Dave: Yes a little bit. As I say it’s it’s just a subtle shift at this stage. Mark: So again why would you be working in this zone? Dave: The heart actually gets stronger. And it allows you to get more blood to your muscles with each beat. It also improves capillarization around those muscles. There’s a better supply and exchange of nutrients and oxygen in the muscles as well. You get more what we call slow-twitch muscle fibre development. The type of muscle which is excellent for endurance and resisting fatigue. Moreover there is a particular type of fast-twitch muscle more normally associated with speed. This sort of fast-twitch muscle fibre develops to be better able to cope with endurance as well. You’ve got these energy organelles called mitochondria which increase in both number and size. And these are the power houses that use the oxygen to produce energy. Because it allows you to store glycogen more effectively. And even better in some ways, it allows you to use fats for fuel more efficiently. But it also improves something called running economy, like a car running more efficiently on fuel. It allows you to use less oxygen in your running action because your running action gradually improves. It makes you more fuel efficient and by continually doing longer and longer runs you turn more and more into a running machine! It will also strength your tendons your muscles and your joints. 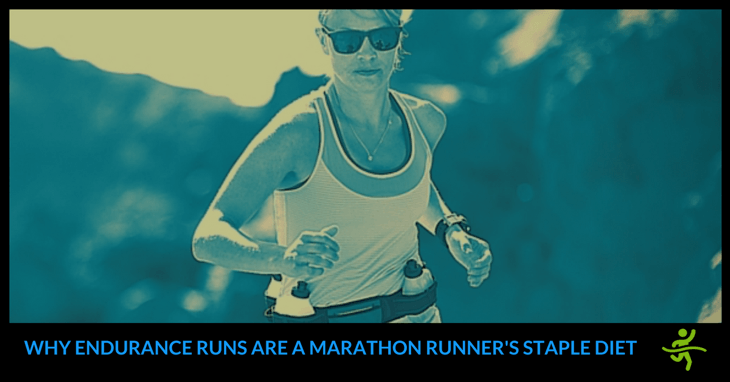 It provides all over body conditioning by improving all aspects of your running biomechanics. Is it starts to make running easier and you start feeling (particularly for beginners) less breathless. It starts automatically. And it’s wondrous really how your form improves with repetition. It starts making the whole process seem easier. And with that comes an elevation of well-being. Mark: Yeah. So you start to realise you’re getting into better shape. Dave: Absolutely. Which brings with it confidence as well. Mark: Obviously there’s a lot in that. What would you say the main takeaways are? Dave: The main takeaway which has been obvious as I’ve gone on and on about the benefits is this isn’t optional folks! This is an absolutely essential zone to spend a lot of time in and not to skip because you think it’s too slow! However, I don’t want people abusing this zone by trying to work too fast in it. Trust the time spent in this zone to get you stronger and fitter. Eventually this does produce performance plateaus. If you are exclusively in this zone which brings us nicely into the next one. Please leave any comments below on your experiences with endurance zone training.